Buff-rumped Thornbills and four species of robins, Yellow, Scarlet, Red-capped and Flame. Only one of the dams held a puddle of water, however since our visit nineteen millimetres has fallen. 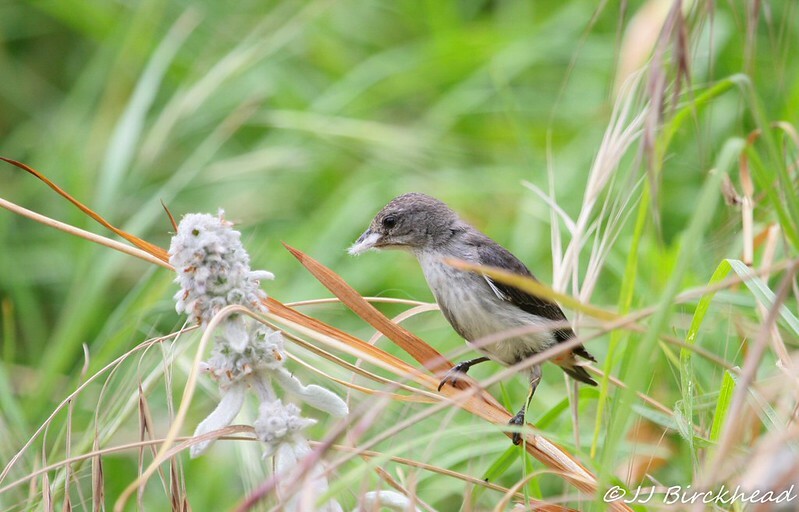 Other interesting observations included Nodding and Dwarf Greenhoods and a few Early Nancies. 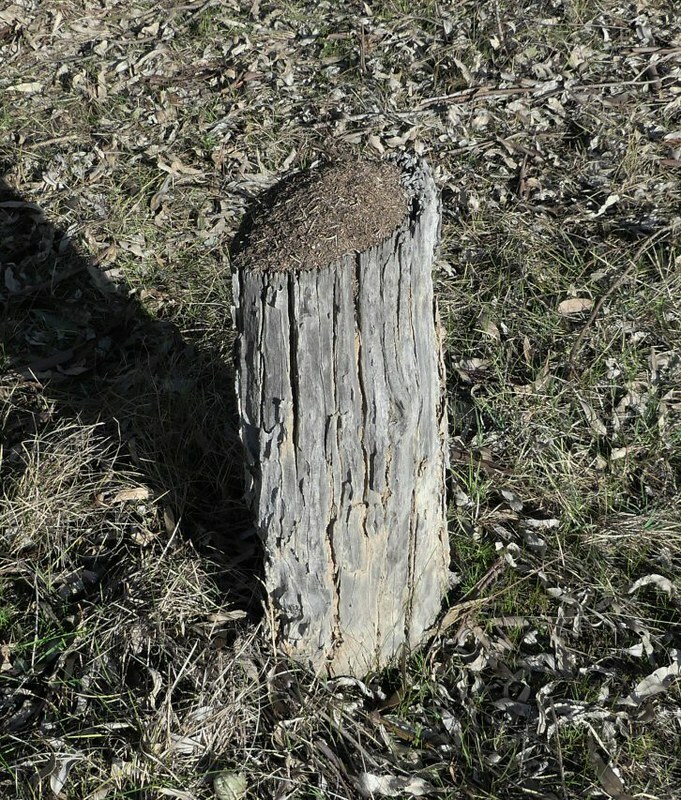 Since we found Coconut Ants at the Rutherglen block (see below) it seemed likely that the old stumps here may also contain them. Two stumps were found, one with active ants and at the other they were absent. Simon made the observation that the ants may be chewing the sedges at the base of the stumps to construct the nests. The information below is taken from the Canberra Nature Map site. The Coconut Ant is essential to the survival of the nationally rare Small Ant-blue Butterfly, with the butterfly spending its larval and pupal stages within the ants’ nest. The Small Ant-blue is only known from a few locations both in the ACT and nationally, while the Coconut Ant seems quite widespread in the Canberra area. The nests of the Coconut Ant are very distinctive and it is hoped that by mapping the distribution of the ant we may find more breeding colonies of the butterfly. The Coconut Ants build nests in the ground and in dead wood on or near the surface. 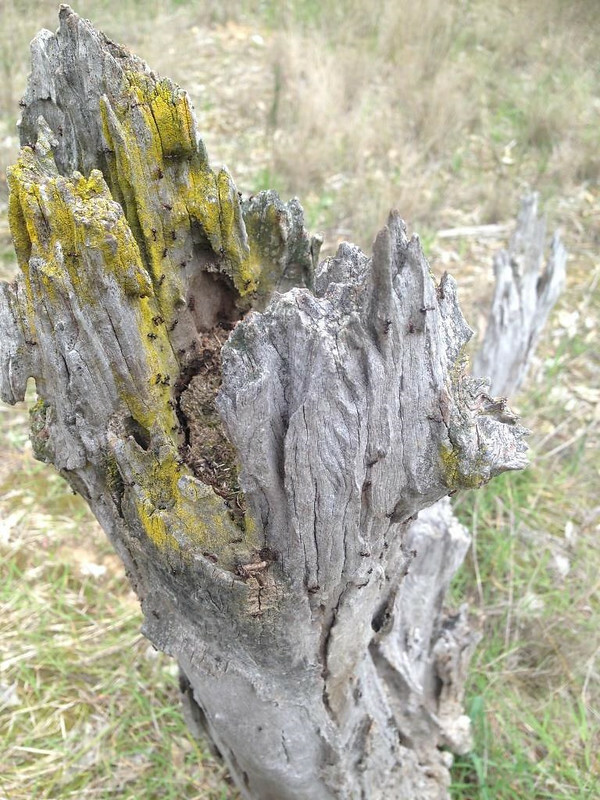 The nests are readily identified because the ants build a cover of vegetable and soil matter, with a cardboard like consistency, over nests, forage ways, at the base of eucalypt saplings and along tree stems. The material is most obvious on top of cut stumps and in the cracks of fallen timber.The clinching test as to whether it is a Coconut Ant nest is to squash one of the few mm long ants and a very strong coconut oil smell should be immediately obvious. The Coconut Ant feeds on the excretions of leafhoppers and scale insects, that are feeding on eucalypts and wattles so nests tend to be in areas with much sapling growth. Work in Victoria also suggests that nests are most likely to be found on flatter well drained areas where projected foliage cover is less than 25% and fallen timber and dead wood is present. 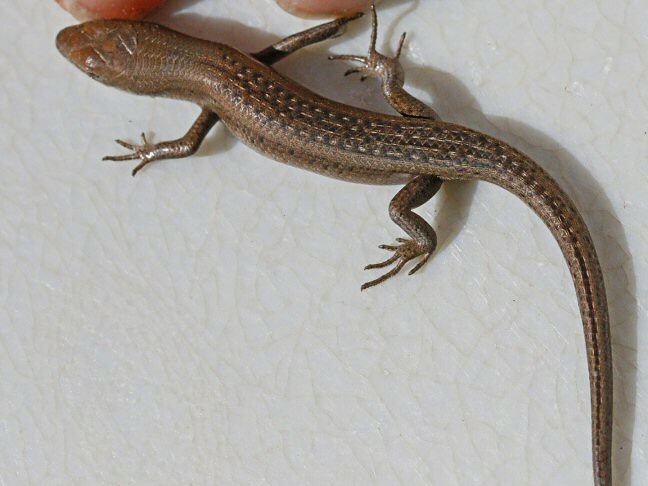 An interesting skink was captured and photographed at Grasslands on tree planting day. 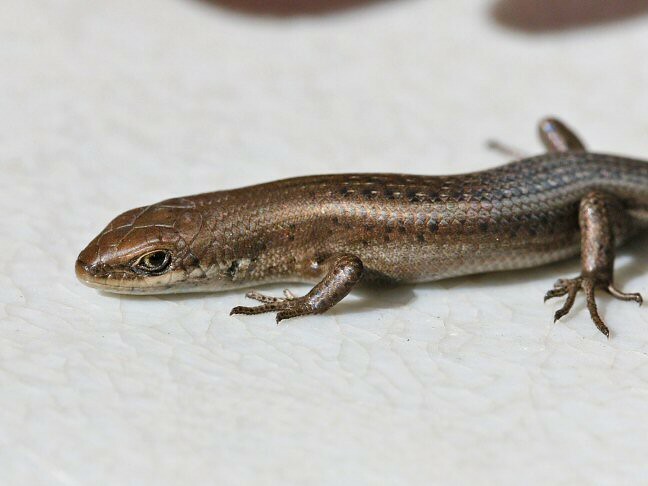 The reptile specialist at the museum identified it as Grey’s Skink, Menetia greyii. Thanks to Neville’s camera skills and a bucket to hold it in we were able to send good identification photos. It is a new record for the park list. Although it is common in other parts of Australia, in our area it is at the edge of its range. It is a diurnal species that feeds on silverfish, small spiders and true bugs. The Grasslands Swainsona recta plantings received good rain a few days after the planting . Hopefully there will be some good follow-up spring falls. There are four plants remaining from the 2017 planting of Swainsona recta and all will flower this season. Thirty more were planted this year. The Black-tip Greenhoods, Pterostylis bicolor are in good bud. We will need to spot spray the St John’s Wort to keep the enclosure free of it. In an old stump in the enclosure some small, shiny black active ants were spotted. They turned out to have a distinctive coconut smell. Martin O’Brien, researched them and found that they are actually Coconut Ants! 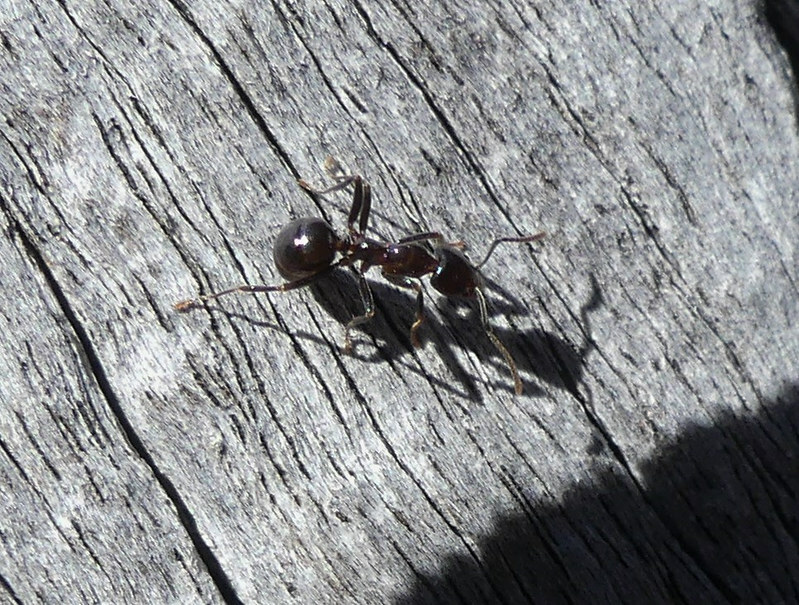 This ant is associated with the Small Ant-blue Butterfly, a rarely seen and threatened species in Victoria. The habitat at Rutherglen and Bartley’s Block is a preferred habitat type It is very likely that we will also find them in Grasslands. So the challenge for us is to survey the sites in December and January at which time the butterfly emerges from the ant nest. If we can find and photograph them we will be putting another threatened species on our park list. Follow this link for the Large Ant-Blue Butterfly Flora and Fauna Action Statement. Well not the news we were hoping for! 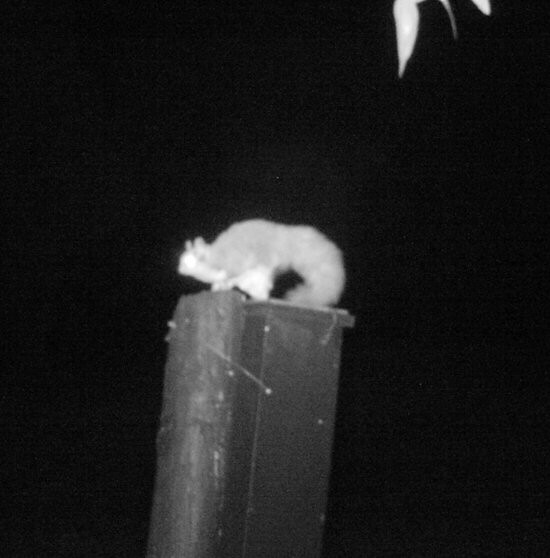 Simon reported that a Squirrel Glider has made a green leaf nest in one of his boxes. 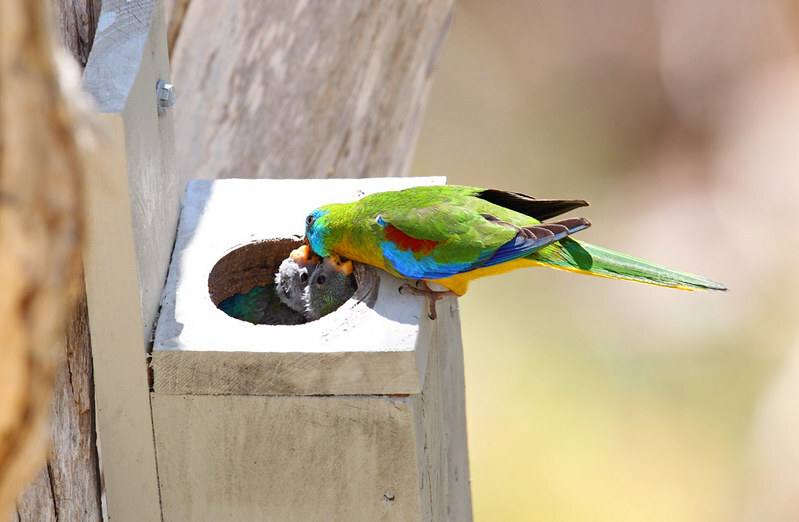 Chris Tzaros has suggested that we remove the lids from the boxes, the reason for this is that these birds often have up to six young and only two or three can be fed at the opening at one time. Looks like some work ahead of us. Fairly quiet on the weed front this month, a few fruit trees spotted near Frog Hollow which can wait till spring, Other jobs coming up will be Belladonna lilies on Mosquito Track and re-treatment of a few briars at Rutherglen Nature Reserve, as well as the usual olive-checking in the Coyles Track area. 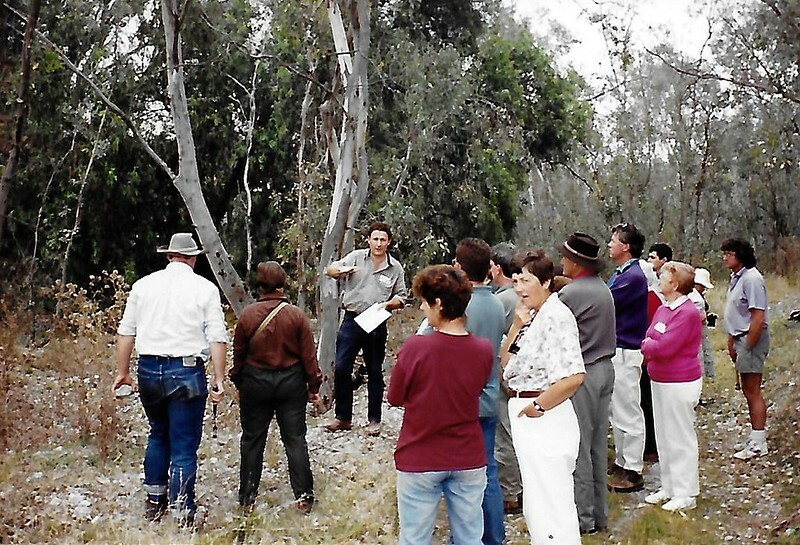 A dozen Cootamundras, an Acacia decurrens and an Acacia cardiophylla (Wyalong Wattle), were eliminated on a recent survey, so the work continues. Yes Mick, the seed bank will keep you in work! Thankyou for your report. At the recent Friends' AGM, Eileen Collins stepped down as President/Convenor as she wished to hand over some of the responsibilities that she had borne over many years. A very extensive list of the Friends' achievements over the last 25 years is testament to her vision and enthusiasm to make the Park a better place for everyone to enjoy. Eileen will still be on the Committee and involved with producing the newsletter and the work with Neil Blair on building a photographic record of all of the flora that can be found in the Park. A motion thanking Eileen for her substantial contribution to the Friends group was enthusiastically passed at the AGM. It is now up to the rest of us to progressively take on more of the responsibility for operating the Friends group. We have just completed the planting of 4,000 trees and shrubs at the Grasslands block near the corner of Howlong Road and Old Howlong Road. This was a major project for us and many people came along to help with this Trust For Nature project. A large mechanical tree planter was supplied (with driver and co-pilot) and everyone worked quickly to keep it supplied with trees and shrubs and then followed up with tree guards and stakes. The recent rain will help these plants to survive and we will monitor their progress over the coming months. Catering was supplied by the local Girl Guides and Red Cross groups to keep the hard working crew well nourished. Another busy year is planned for the group with ongoing weed control at several sites and the improvement of Bartley's Block on Howlong Road. This block is one of the most reliable bird watching spots in the Park at the moment. We will make sure that the area previously infested with Blue Periwinkle will become a feature with local species of plants being encouraged.Monitoring of mammal and Turquoise Parrot nest boxes will continue. Thankyou Neville. President Neville Bartlett, Vice President Mick Webster, Secretary/Treasurer, Tony Murnane. Committee E. Collins, N Blair, W Boulton, P Gotham, J Davidson, P Stokie, D King, P Seely, J Hawker. Over the past month at the Beechworth Work Centre we bid farewell to John O’Neill who retired after nearly 30 years of service. John started his career in Chiltern then moved to Beechworth after the Chiltern Work Centre closed in the early 2000’s.With most staff taking leave before the summer period begins we haven’t been able to get a lot done out in the Park, but those here have been completing a maintenance/site refresh project at the Eldorado Dredge. We’re also in the process of engaging a contractor to complete Bridal Creeper control in the Chiltern area of Chiltern Mt Pilot NP and hope to start works in the coming weeks. Luke Habeck acting Team Leader. Thank you Luke and all the best from Friends in your new appointment. Friends wish John O’Neill a long and restful retirement and thank him for his work in the park. 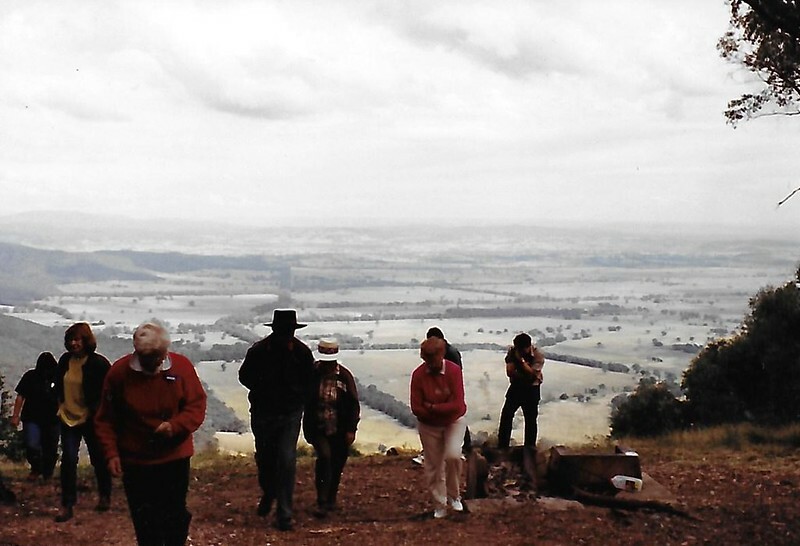 The tour was designed to explain the major rock types, earth movements and ages which have influenced the geology of the North East of Victoria. For those interested in the Brolgas of Rutherglen here are two video clips to enjoy. One is a long one and the other short. Thank you Jennifer. Enjoy. Membership expired on June 30th. Thank you to all who have renewed their membership this year. We appreciate your support. If you have overlooked it we’d be happy to hear from you. BYO lunch, chair, sunscreen, water, BUN will be served! !